Amy Sherman of Behind the Mitten previews this weekend's Behind the Mitten show, which airs on 11 radio stations across the state. She also runs down some things to do in Michigan this Memorial Day weekend. This segment aired Thursday, May 25, 2017 on WOOD Radio in Grand Rapids. 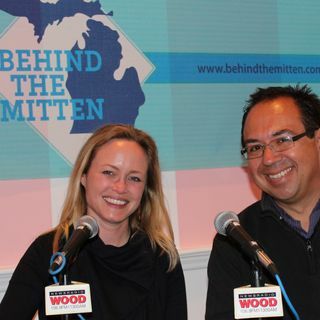 Behind the Mitten is co-hosted by John Gonzalez and Amy Sherman. It's a one-hour show about events and things to do in Michigan.